Public sector agencies face increasing calls to maximise the impact of their policy interventions, especially for hard to reach groups. Pasifika peoples make up a significant segment of that target group and are an increasingly important proportion of New Zealand’s younger population. The best way of lifting the quality and effectiveness of policy outcomes is to ensure Pasifika perspectives are incorporated in the thinking and analysis phases of the public policy process. This workshop provides the knowledge and frameworks for exactly that. The course begins with the important historical and constitutional features of Pasifika peoples and their transition to New Zealand. It identifies the important Pasifika values and concepts that underpin their communities. And it offers a practical step by step guide to incorporate these values and concepts into the policy process. 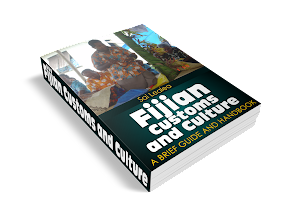 Throughout the day insights and practical tips are offered in understanding Pasifika values and practices. The workshop will be highly interactive with a blend of presentations, case studies and practical application. The Presenters, Sai Lealea and Holona Lui, collectively bring more than 20 years experience in public sector policy development, consultation and engagement with Pasifika peoples. They are knowledgeable about the Pasifika community and both are experienced in facilitating and delivering training workshops. how Pasifika social structures might impact on service delivery.